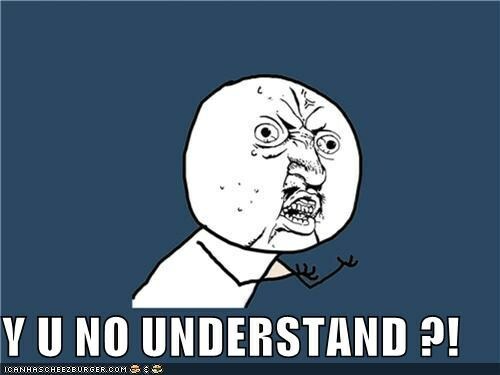 Y U No Understand? | Half Heart. Whole Life. Ok heart parents: you know how this goes: there’s lots of well-meaning people in your life who just have no clue what it’s really like to have a heart child. It’s not a cold, it’s not a boo-boo…it doesn’t just go away, it won’t get better with cod liver oil or elderberry syrup. It’s a life change and it makes the life of a parent much different. And lots of well-meaning people just don’t get it. I wish people can understand that extreme heat or cold is very difficult for heart babies, so it makes summer beach trips and anything in the winter a challenge. And honestly, this is just scratching the surface. People want to know why our life is so crazy-busy? Take a look. Pretty overwhelming isn’t it? 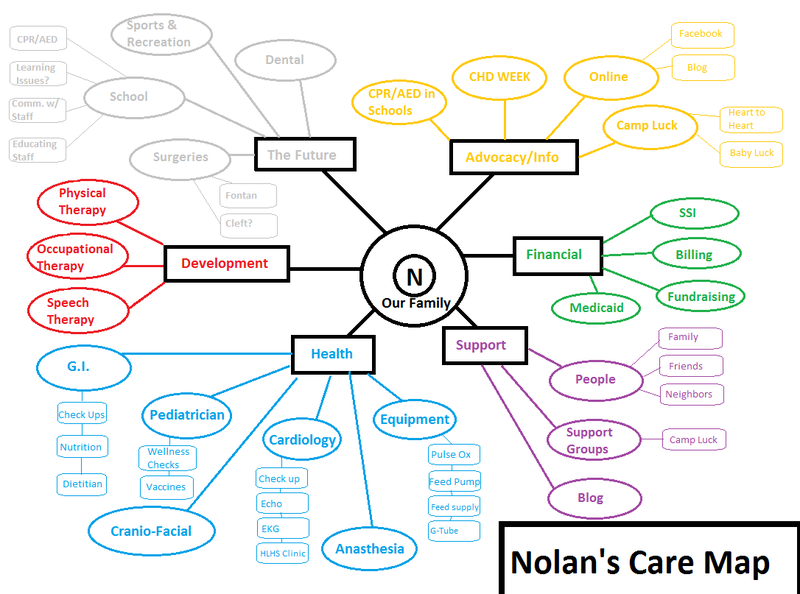 Nolan has a lot of stuff going on and there’s lots of things we keep track of and lots of things we need to be mindful of down the road. And trust me, I have the easy end of this deal: my wife is an absolute superhero. She gets 3 kids up and dressed and fed and goes off to multiple appointments throughout the week, sometimes with appointments daily. She works through physical and speech therapy with Nolan all while trying to keep two other kids occupied. She keeps the house in order and has been an amazing cook too. I love her and we couldn’t do any of this without her…in fact, there’s no one I’d rather do this crazy life with. Heck, I get the easy end of this deal with going to work. I made the map in hopes that people could better understand what it’s like to raise a heart child. You should take some time and do one of your own…it puts things into an amazing perspective. I’m hoping that it helps people see that the life of a heart parent is busy, expensive, time-consuming, and stress-inducing. It’s not the normal life of a parent, not by a long shot. I’m not saying that parents of healthy kids don’t have a busy life or stressors, but it’s definitely apples and oranges, the way I see it, and I just want people to understand. Posted on June 23, 2014, in awareness, Care at Home and tagged CHD, congenital heart defect, HLHS, hypoplastic left heart syndrome. Bookmark the permalink. 4 Comments. That’s a great way of showing all the different aspects of life with a heart child. My daughter has HLHS and I find it frustrating when I think I’ve explained to someone what that means and then they look at her and say “but they’ve fixed her heart now, right?”. I had a parent in the playgroup once try to reassure me by telling me that my daughter would probably grow out of it and be fine when she’s older! Sigh. Maybe I should try doing a map like your one. Thanks for sharing this. ps I love your blog. I can tell you have helped many and will continue to do so.